Montegrotto Terme, from 17th – 12th century B.C. to 19th century A.D. 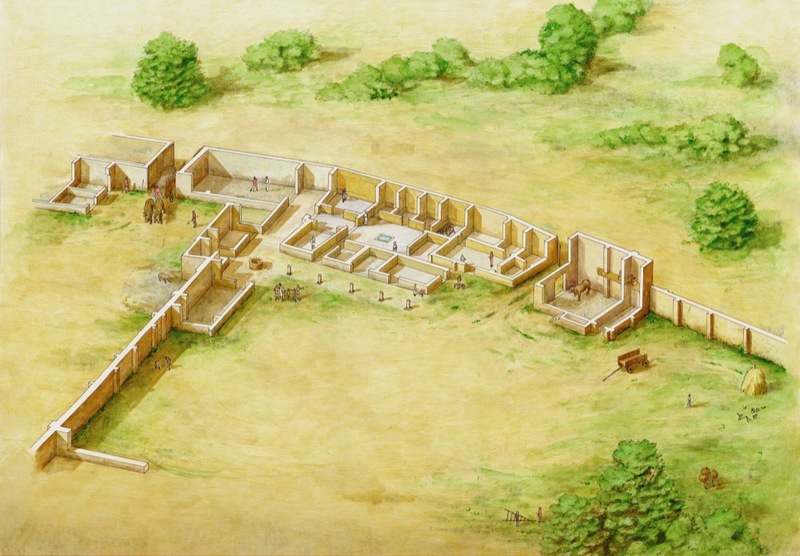 The remains of a large settlement, in use between the seventeenth and twelfth centuries B.C. 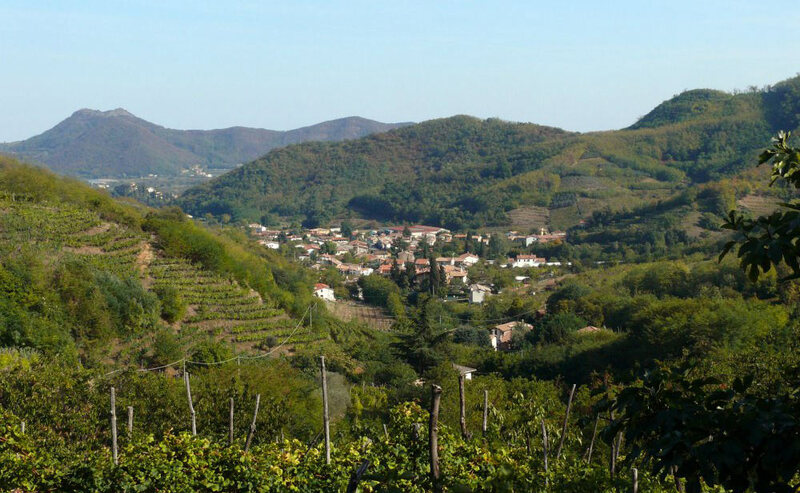 (Middle and Late Bronze Age) are located at the southern slopes of Monte Castello. 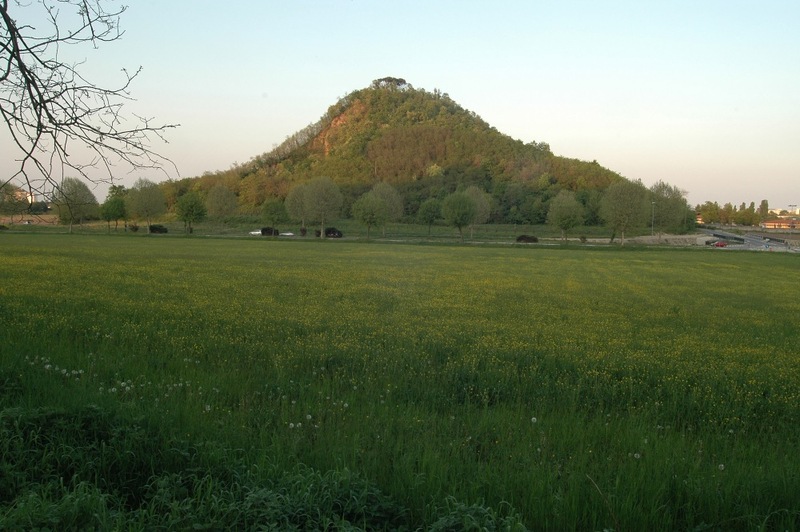 The top of the hill is dominated by the so-called "Tower of Berta", hence the popular name of the height as Berta’s Hill. The tower was built on the "Castle Montagnon", already documented in 1100, which was in turn built on an existing structure from the Roman period. Montegrotto Terme, 7th – 6th century B.C., 1st century B.C. – 1st century A.D. The area where nowadays the Hotels Vulcania and Bagno Romano stand, south-west of Colle San Pietro Montagnon or Montagnone, owes its name – “Lastra” – to the continuous emerging of ancient marble slabs during the 18th century. 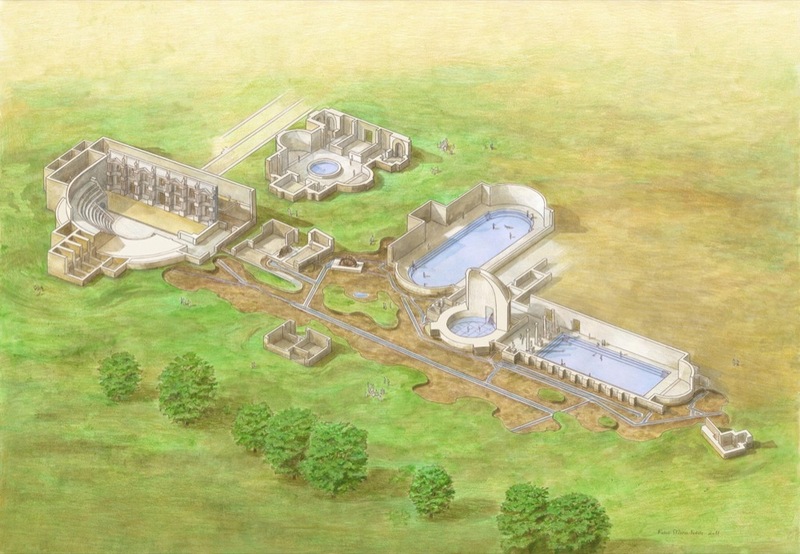 Two thermal pools with ducts and some Roman buildings with mosaic floor (approximately 1st century B.C. – 1st century A.D.) also emerged in the 19th century, as well as some votive objects datable around 7th – 6th century B.C. – similar to the finds discovered at the sacred place between Monte Castello and Colle San Pietro Montagnon. Montegrotto Terme, 1st century B.C. – 2nd century A.D.
At the end of the 18th century, a wide and imposing Roman building (1st century B.C. – 2nd century A.D.) was discovered in the area today occupied by the Augustus Hotel; its interpretation is much discussed, and still remains uncertain. A certain number of objects dating back to pre-proto-historical age (6th – 1st millennium B.C.) also comes from this site. In the course of time, three big buildings (presumably built between the 1st century B.C. and the 2nd century A.D.) have been located in the area around Colle San Pietro Montagnon: the biggest one was discovered underneath the now existing Duomo dedicated to Saints Peter and Paul, a second one was found underneath the Oratorio della Madonna Nera, while a wide circular thermal pool – the so-called “Bagno di Montagnone” – emerged in the 19th century halfway between the aforesaid two structures. These buildings were all linked to the exploitation of thermal water: as a matter of fact, several lengths of pipes and stretches of Roman aqueducts have been found on a number of occasions all around the hill. The Oratorio della Madonna Nera was built in 1724 and became the parish church dedicated to St Peter until the mid-20th century, when the new Duomo was erected. The Oratorio exploits a belfry dating back to the 13th century. Montegrotto Terme, 3rd millennium B.C. – 14th century A.D., 1st – 2nd century A.D. The ruins of a luxurious villa, built at the beginning of the 1st century A.D. and afterwards employed and reworked at least until the 3rd – 4th century A.D., are currently visible in a state-owned area beside the Terme Neroniane Hotel. The most significant part of the residential area is today sheltered by a permanent roofing that recalls the original volumes. 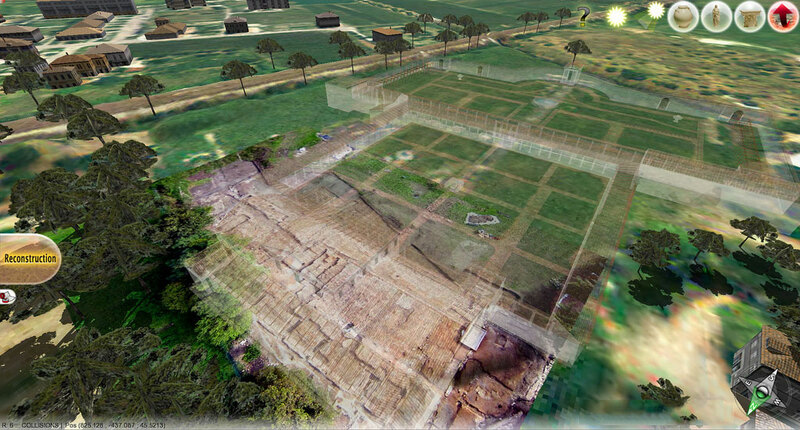 The same site also gave back traces of pre-proto-historical presence (3rd – 1st millennium B.C. ), not visible on the ground any longer, and marks of medieval settlements (5th – 14th century A.D.), partially still preserved. In-depth studies of geomorphology and paleobotany have made possible a reconstruction of the ancient landscape preceding the human presence in this area. Montegrotto Terme, 1st century B.C. – 3rd century A.D. The ruins of a wide bath complex, built in the second half of the 1st century B.C. and afterwards enlarged and employed until the 3rd century A.D., are still visible in the state-owned area between viale Stazione and via degli Scavi. 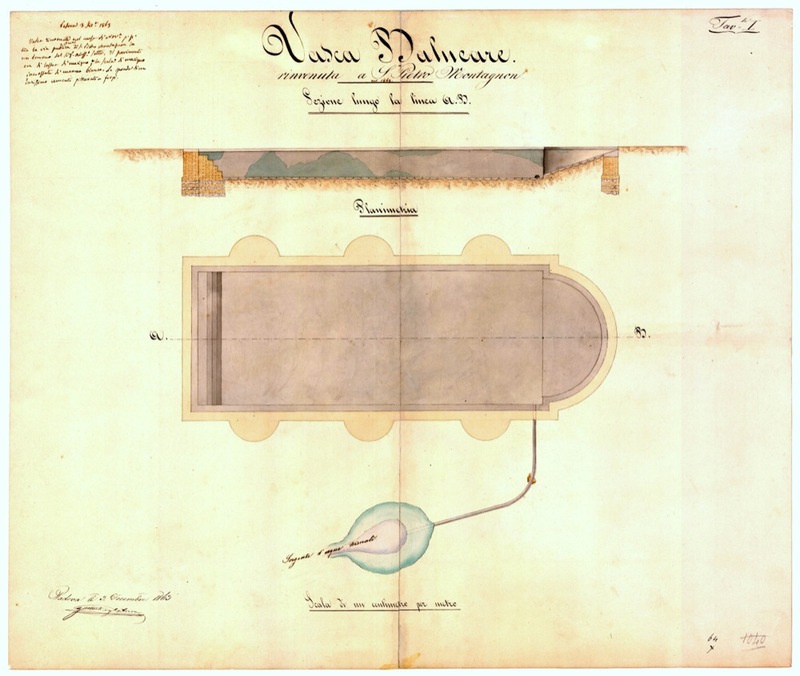 Some buildings are preserved: three big pools equipped with water adduction and draining system, a little theatre, a building with a central circular basin and side apses, and other complementary structures. After the Second World War, during the excavation of a bog in the “Fonteghe” area of Arquà Petrarca, some artifacts possibly related to a settlement dating to the VI – III century B.C. (Iron Age) emerged. Teolo, 11th – 15th century A.D. The medieval castle, probably built in the XI century and now in ruins, stands on the hilltop of Rocca Pendice, in the municipality of Teolo. All that remains today of the structures of the castle is ruins swallowed by vegetation; between them it is possible to recognize the remains of a tower, some buildings and a low wall. The building is documented since the XI century, when it was the stronghold of the Paduan episcopate against the Counts of Castelnovo (today Castelnuovo). Given the location on top of an inaccessible hill, the castle never had a real town around it, but – as shown from documents of the twelfth century – it exercised its jurisdiction over the inhabitants of the villages of Luvigliano and Teolo: they provided guard services and in return had the right to take refuge in the castle whenever the situation required. Cemetery in the area "La Palazzina"
Arquà Petrarca, 2nd – late 1st century B.C. An extensive necropolis was found on the slopes of Mount Ricco. The cemetery can be dated between the II and I century B.C., a period when the ancient Venetic culture was influenced by the contact with Celts and Romans. The necropolis offers important elements for the reconstruction of the historical processes that affected the central Veneto at the turn of the Roman age. From the most ancient tombs, it is clear that Celts settled in the territory of Este just as Rome laid the foundations of its power. In a few decades, Celts integrated up to acquire the habits and customs of the Venetic people, as indicated by the gradual disappearance of weapons from male grave goods. Finally, the most recent burials show the total adhesion of the community to the forms of social life imposed by the accomplished advent of the "Pax Romana" and its laws. Over the years a number of pre-protohistoric objects emerged accidentally in the area of Montegrotto Terme: being them isolated materials, it is not possible to draw a clear picture of the characteristics of the settlement. However their presence testifies the intensity and the continuity of the ancient populating. Abano Terme, 4th – 3rd millennium B.C. 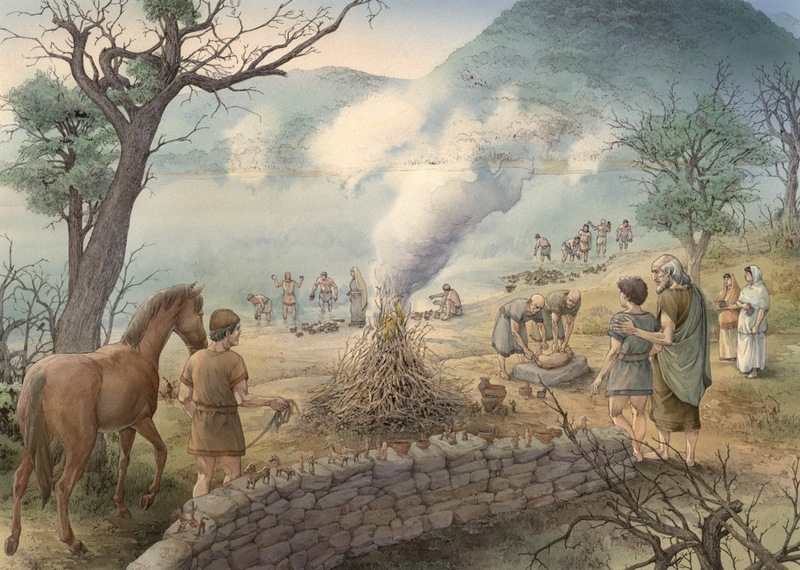 (late Neolithic and early Bronze Age) and 10th – 8th century B.C. (Iron Age). 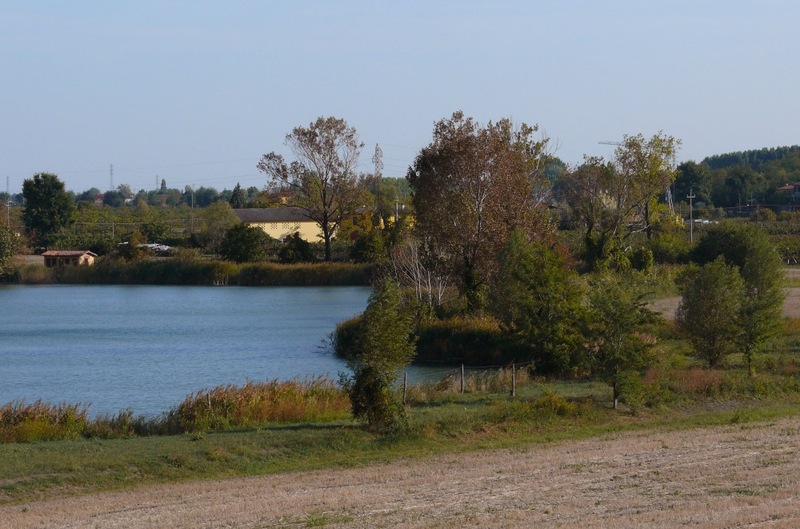 Prehistory and protohistory of the territory of Abano are little known. Only since the late Iron Age, coinciding with the last centuries of the first millennium B.C., the news are less fragmented, suggesting a territorial occupation mainly linked to the sacred. For the earlier millennia, only a few isolated objects with no specific provenance (except for one single find) are known to date. Over time, various objects dating to the IV and III millennia B.C. (late Neolithic and early Bronze Age) and between X and VIII century B.C. 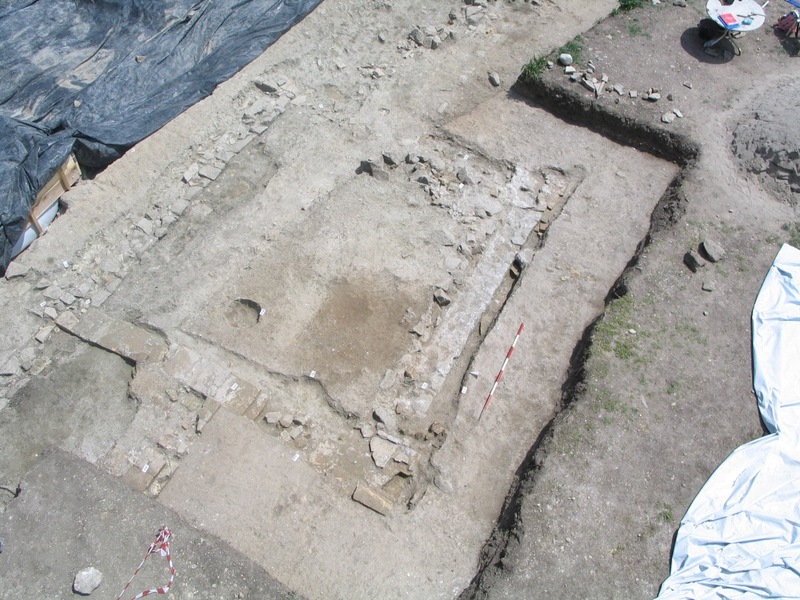 (Iron Age) were found in the area of Abano Terme. Although their specific context of origin is not known, they are evidence of the peopling of this area in such ancient times. 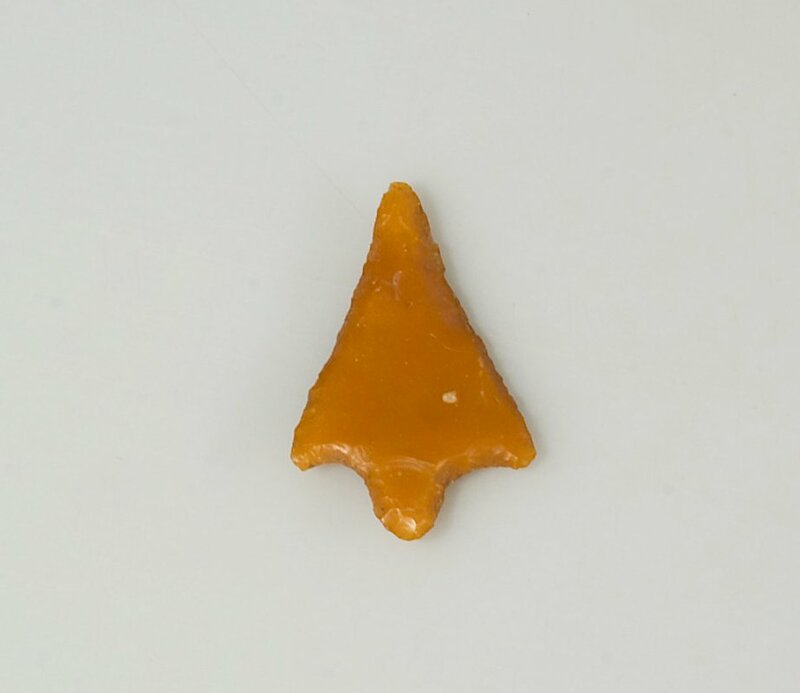 The oldest artifacts known to date on the eastern side of the Euganean hills come from "Mondonego": in fact some flint tools date back to 120.000-36.000 years ago (Middle Paleolithic). The discovery of an instrument in flint of the late Upper Paleolithic, which coincides with the end of the Ice Age between 20.000 and 10.000 years ago, has also great importance. There are also numerous flint tools of the VI millennium B.C. (Ancient Neolithic) that are clue, with the contexts of V – IV millennium B.C. (Middle and Late Neolithic) of the nearby Galzignano area, of the widespread presence of man in these plains during the first two millennia of the agricultural history. Several fragments of ceramic vessels emerged during the works for the construction of the "Kursaal". 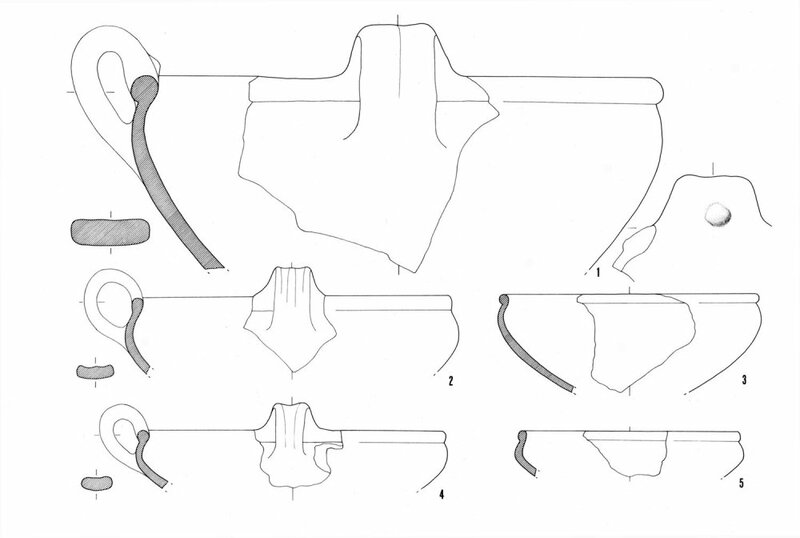 All fragments belong to cups with similar shape of those found in the sanctuary between Monte Castello and San Pietro Montagnon hill. However, in contrast to the miniature cups of Montegrotto, those from Abano are characterized by an unusual gigantism which makes them unsuitable for normal domestic use, touching 55 cm in diameter. Even in absence of information about the context, the cultic character of the deposit is clear. 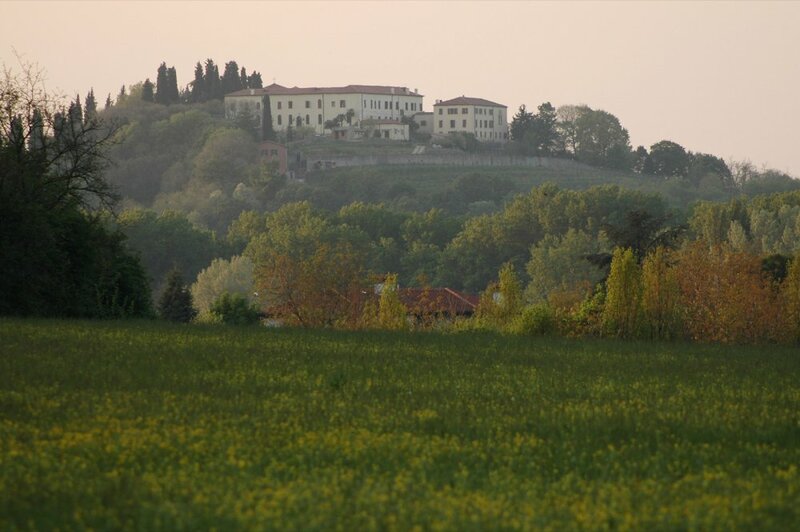 The monastery of San Daniele, founded at the end of the eleventh century, stands on the top of the homonym hill. The medieval complex no longer exists. 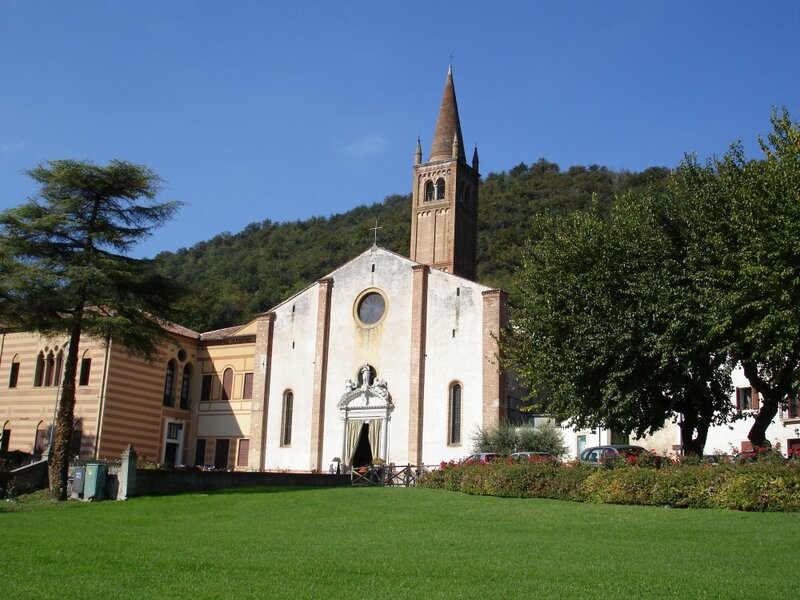 The actual building, seat of the Benedictine nuns of the Monastery of San Rocco in Fiume since 1947, is the result of the nineteenth-century rearrangement of a fifteenth century complex, organized around a cloister. 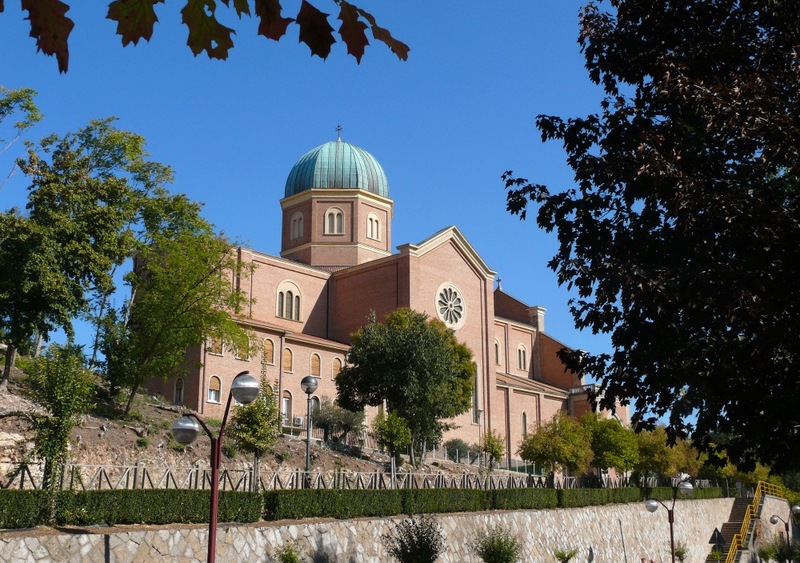 Arquà Petrarca, approx. 2200 B.C. (Ancient Bronze Age) – 13th century B.C. (Final Bronze Age). 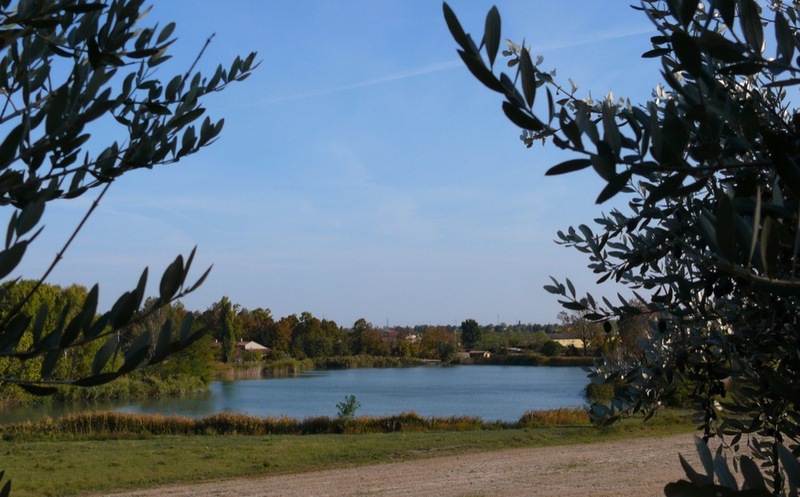 An important village was built on the banks of the small lake at the southern foot of Mount Calbarina, around 2.200 B.C. (Ancient Bronze Age). It was not a pile-dwelling with houses raised on piles stuck into the bottom of the lake; rather the houses were built on a reclamation of fagots and horizontal planks, in order to strengthen the building and lift it from the marshland. This was a type of construction common in wetlands and river banks. The village of Laghetto della Costa is one of the pile-dwellings which were added to the UNESCO World Heritage Site list in 2011. Montegrotto Terme, end of the 1st century B.C. – 2nd century A.D. The ruins of a Roman bath complex (approximately end of the 1st century B.C. 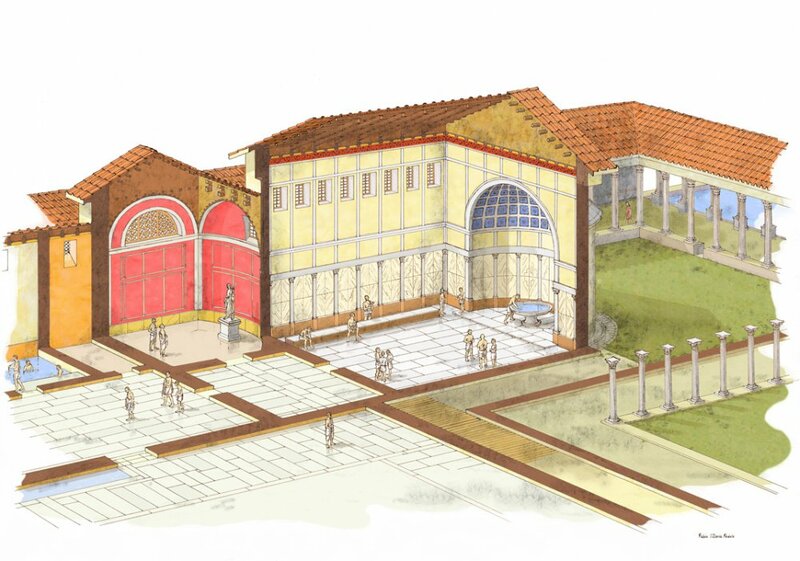 – 2nd century A.D.) are still visible underneath the restaurant of the Terme Neroniane Hotel; the ruins include a wide room with apse, a section of the water circulation system, presumably a colonnade and other complementary buildings. 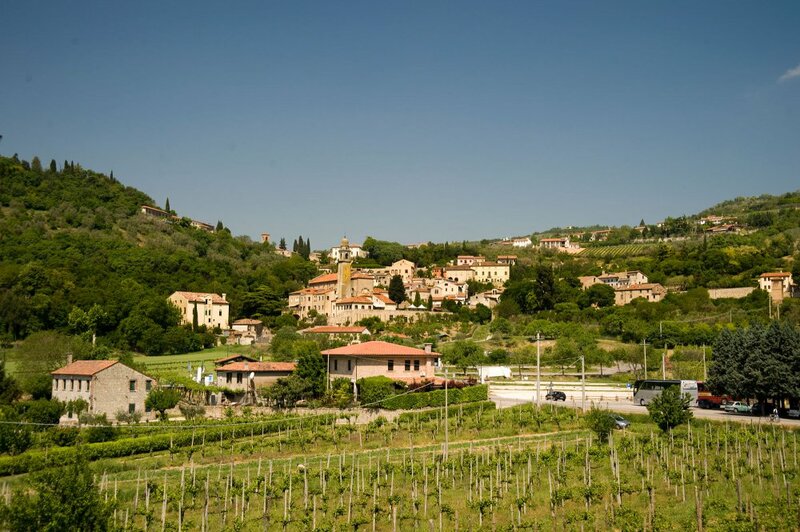 An ancient storage area was discovered not far from Colle Montirone: it included hundreds of ceramic items (thin-walled cups, animal’s head-shaped “rhytà” and so on), all datable between the second half of the 1st century B.C. 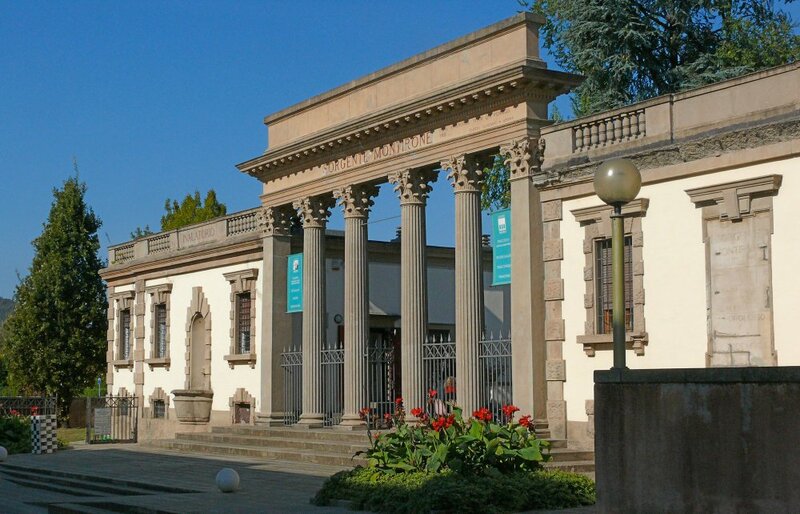 and the 1st century A.D.; it was presumably the storehouse of an emporium linked to the nearby thermal water springs. 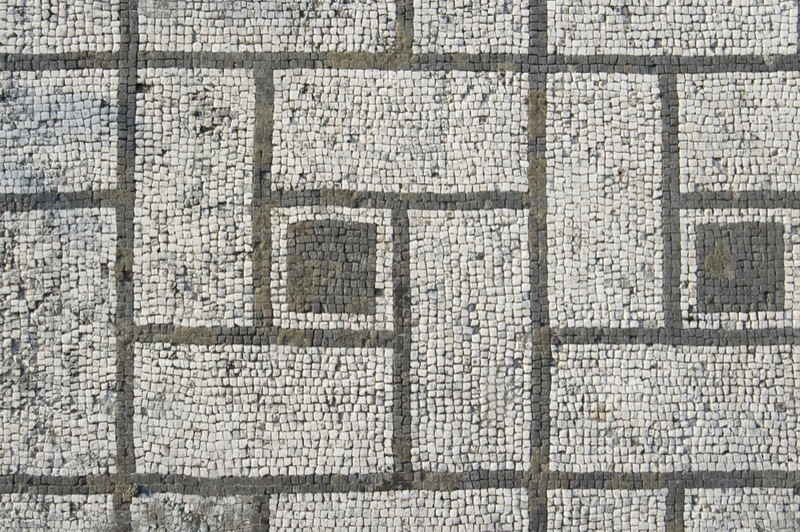 Abano Terme, 50 B.C. – 1st century A.D. and 15th century A.D. The ruins of a sacred place were located not far from Colle Monteortone; the site was active between the second half of the 1st century B.C. and the 1st century A.D., and was probably bound to thermal waters. In the 15th century, a monastery consecrated to Madonna della Salute rose on the same area. Montegrotto Terme, 7th- 3rd century B.C. 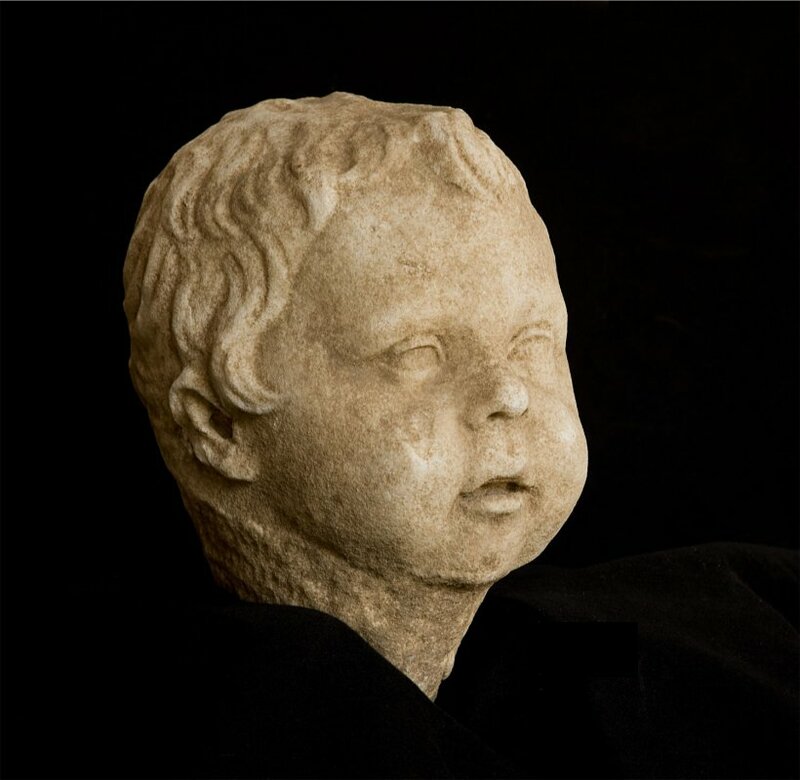 The area surrounding the Terme Preistoriche Hotel gave back several objects that can be related to a sacred place, regularly attended between the second half of the 7th and the 3rd century B.C. and located around a stretch of water (today disappeared) fed by smoking water sources. On its banks, for centuries, the devotees offered sacrifices to a deity of thermal waters and laid miniaturized “ex voto”, such as ceramic vessels and bronze statuettes mainly representing cavalrymen and horses. 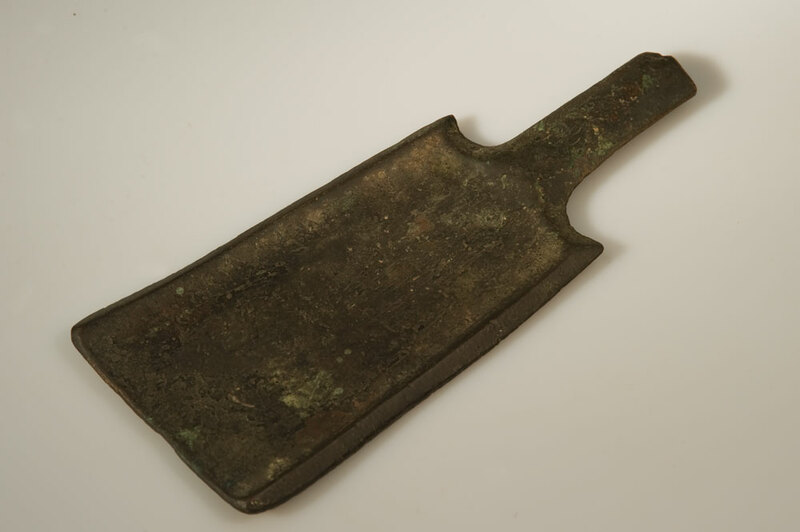 Other findings attest the use of the area also during the Copper Age (3.300 – 2.200 B.C.) and the Middle Bronze Age (15th-14th century B.C. ), even if it is not possible to define the function that this place had at those times. A settlement generically dating to a period between the IV and the beginning of the II millennium B.C. (Late Neolithic – Bronze Age) is located in the Terralunga field; considering the few illustrated finds, in particular flint weapons, it seems that a dating from the beginning of the IV millennium and 3300 B.C. (Late Neolithic) might be more probable. 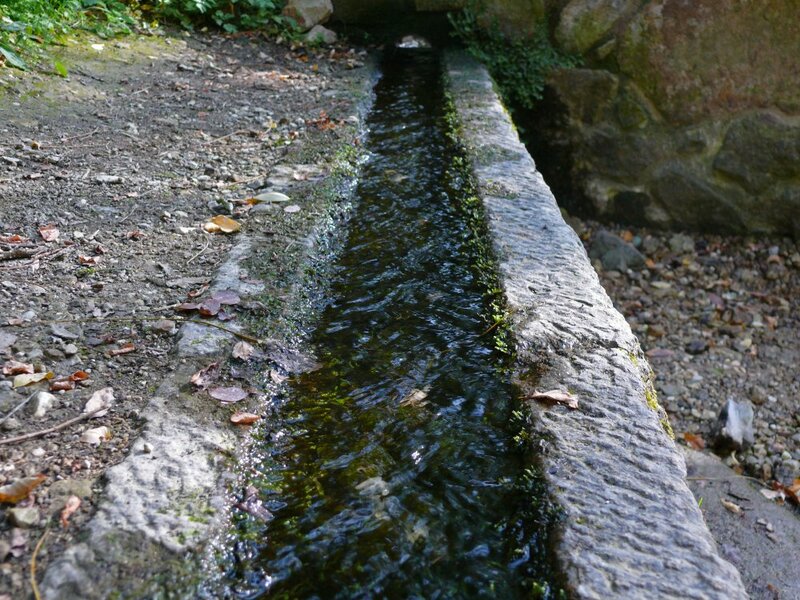 The materials found in the near Fosson property, instead, date back to the XV – XIV century B.C. (Middle and Recent Bronze Age). The presence of "straight-cylinder" handles indicates a chronology of XIV – XII century B.C. (Recent Bronze Age), but a first occupation during the Middle Bronze Age cannot be excluded. During the excavations no structures were recognized. Mount Orbieso was the site of human settlements both between the XIV and XII centuries B.C. (Recent Bronze Age) and between the VIII and VII century B.C. (Iron Age). A village was founded between the middle of the fourteenth and the end of the twelfth century B.C. to take advantage of the economic and physiographic potential of the area. The smaller reoccupation of the hill during the VIII – VII century B.C. is due to pure strategic reasons. 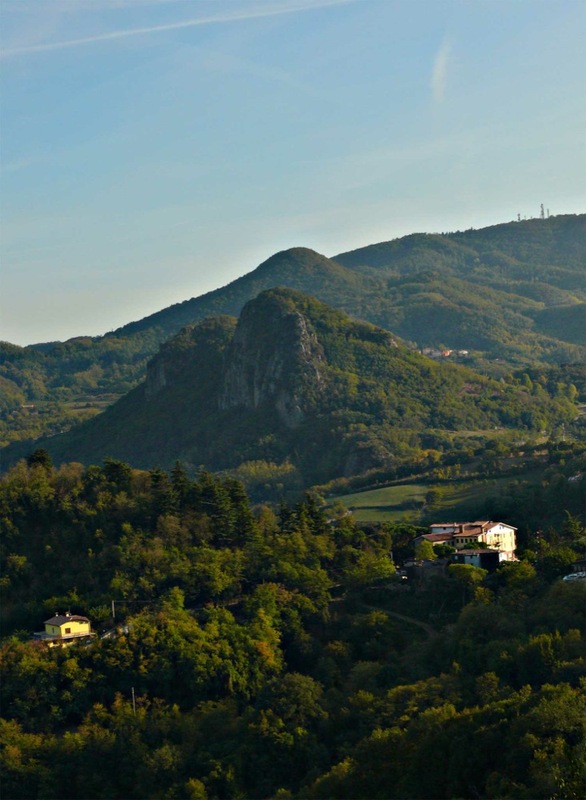 Mount Orbieso had a control function on one of the easier passes used to transit from the eastern side of the hills, historically pertaining to Padua, to the western side, pertaining to Este. Montegrotto Terme, 1st century A.D. – 2nd century A.D. The ruins of a luxurious villa are still preserved within a private property facing via San Mauro. 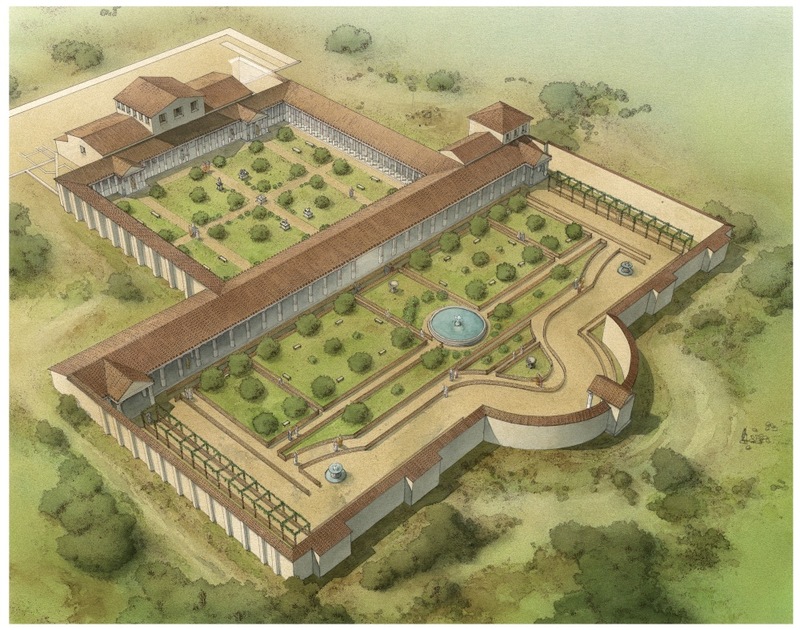 The villa was built in the 1st century A.D. and attended until the 2nd – 3rd century A.D. The ruins of a private country mansion (”villa rustica”), built in the second half of the 1st century B.C. and enlarged until the 2nd century A.D., have been discovered in a state-owned area at Turri. It is possible to recognize residential rooms, as well as structures dedicated to the processing and the storage of foodstuff. Village in the area called "Le Contarine"
Arquà Petrarca, 2nd millennium B.C. (Bronze Age) and 10th – 9th century B.C. (Iron Age). Traces of a village and fragments of objects of the II millennium B.C. (Bronze Age) and dating between X and IX century B.C. 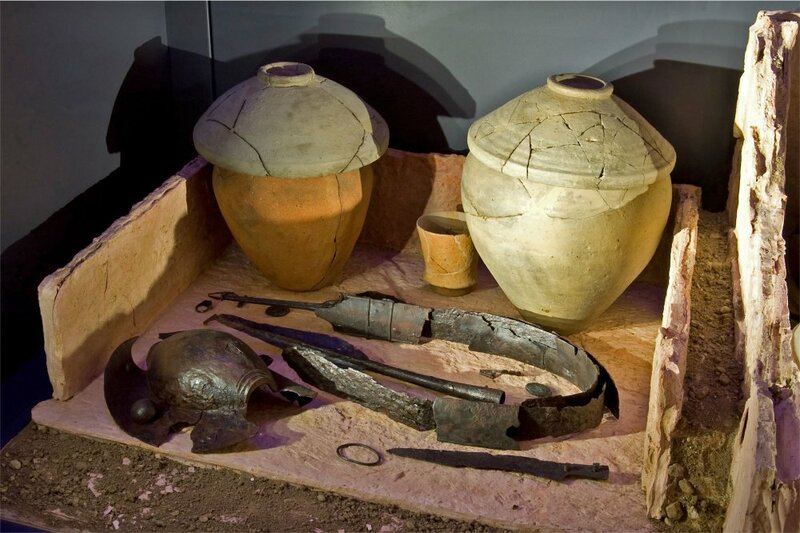 (Iron Age) emerged in the mires excavated during the Second World War and after the war in search of raw materials. 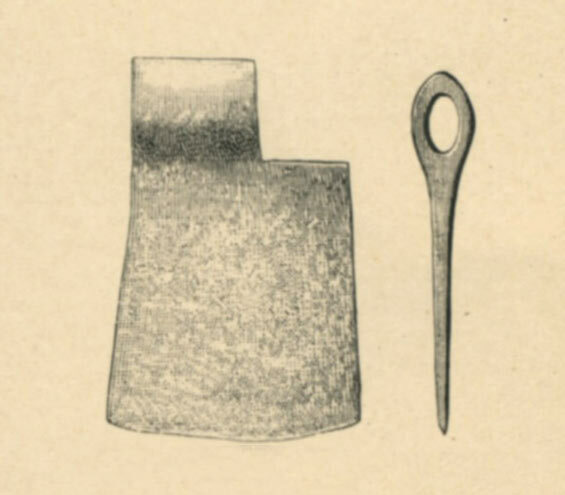 A group of objects dating from the V to the III century B.C. 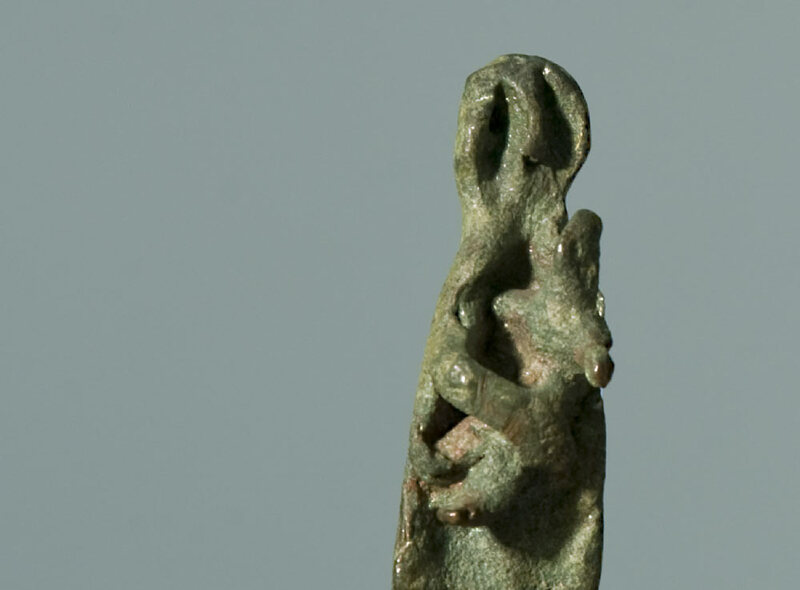 (late Iron Age), including a bronze statue representing a "mother with child" and a bronze fibula, were found in the area of Feriole (Abano Terme), in an unspecified date before the end of the nineteenth century. The characteristics of the artifacts suggest a small center of worship; the objects themselves may have been somehow involved in the religious ceremonies.